The Senate has published a budget of N125bn as the National Assembly’s projected spending for 2017. It is Important to note that this is the first time in many years that the National Assembly will be releasing to the public details of its spending for a fiscal year. A breakdown of the budget indicates that N23,789,787,880 will go to personnel cost, N85,878,619,888 is allocated to overhead cost, and N14,940,196,063 for capital cost. 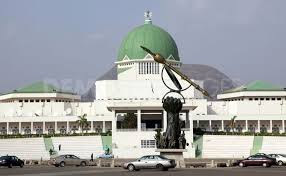 President Muhammadu Buhari had presented a budget of N7.298tn to the National Assembly in December 2016, but the Committee on Appropriation headed by Senator Danjuma Goje increased it to 7.441tn. Senate President Bukola Saraki had promised to promote more transparency in the National Assembly upon his election as Senate President, and there have been repeated calls for him to keep that promise by making the budget of the legislative arm of government public, among other things.